Fishing can be a fun outdoor activity until you realize that you have to come face-to-face with the forces of nature. Indeed, that’s why it’s important to invest in a well-made pair of fishing sunglasses. Here’s the truth, though. Although the market is full of options, the task of finding the ideal set of sunglasses is humongous. But generally, we’d recommend taking the following key factors into account. 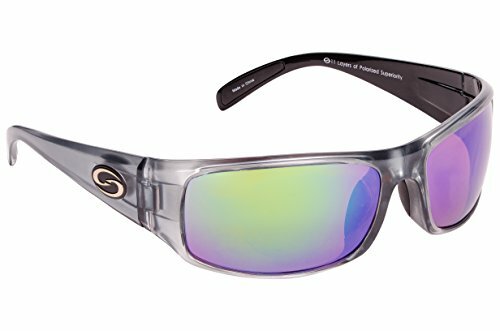 Keeping all those crucial factors in mind, we have compiled a special review of the best fishing sunglasses. Some of these come with premium features but others are pretty ordinary. You only need to find one that meets your expectations and run with it. From polarized fishing sunglasses to ones specifically made for long hours at sea, the following table has it all. You can use the table alone or alongside the in-depth reviews below so you can make an informed decision. 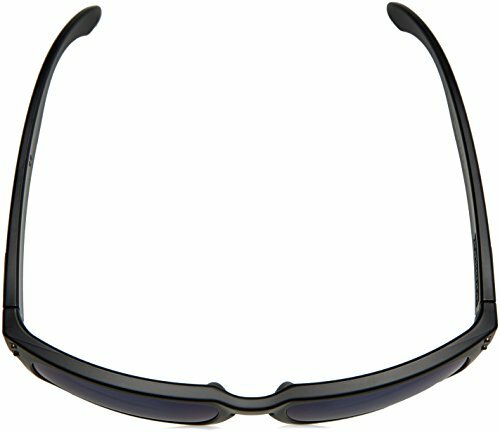 If you are looking for inexpensive sunglasses for fishing during the day, consider Flying Fisherman-Maverick glasses. 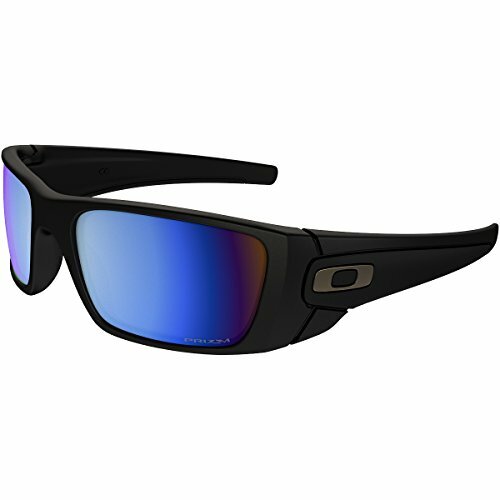 They are among the best fishing sunglasses under 100. The glasses are made using high-quality materials. On top of that, the glasses have been tested for durability. The glasses have many features to enhance your day fishing adventure. First and foremost, the glasses are polarized. Which means they will eliminate glare while fishing and thereby reduce eye fatigue. They will improve your visibility in the water, in addition to preventing you from squinting your eyes or getting headaches. The glasses also have 100% protection from UVB and UVA. They also have AcuTint lens. It is a lens coloring system that ensures there is no compromise to visual clarity when producing colored lenses. Besides that, the glasses are light-weight, scratch resistant, non-slip. With non-slip nose and temple pads. Unfortunately, you need to buy a nice storage case for them. Oakley-Holbrook are made in the USA by Oakley, which has a good reputation in this industry. The polarized glasses are great for water sports, fishing and other outdoor activities. The lens are developed using a combination of state of the art technologies, then tested for accuracy. The glasses are designed to be comfortable, protection glasses, good visibility in addition to having a good look. The glasses are polarized iridium. The frame and lens are both plastic. The frame is designed to be comfortable and stress-resistant. And the lens has good visibility due to the polarization, in addition to having 100% UVA, UVB, and UVC protection. You get a case with every purchase of the glasses. Unfortunately, the glasses are quite expensive. They are men’s glasses, ladies have to look elsewhere. Oakley-FuelCell are glasses designed with aesthetics in mind. Though the Oakley-FuelCell may have an off-putting price, their quality elements are tested to give you beautiful, high performing protection. Indeed, these seem like perfect fishing glasses. Yet they still optimize your ability to see underwater. The glasses are made with a plastic frame and plastic lenses. The frame is comfortable, designed with stress-resistant features and lightweight. Therefore you can wear the glasses for extended periods of time without experiencing stress or getting uncomfortable in them. The glasses are designed to block 99% of rays that interfere with your sightseeing. In addition, the glasses block all harmful UVA, UVB and UVC. The lens are also hydrophobic, they, therefore, repel oil, dust and water, making them easy to maintain. They are very expensive. Losing a pair can be such a setback. You buy if you know how to take care of your things well. Though SUNGAIT-Men's Polarized are cheap sunglasses for fishing, they have all the quality elements to enhance your fishing expedition. In addition, they are durable glasses that come with a lifetime breakage warranty and a money back guarantee. The glasses are multifunctional outdoor glasses. Unfortunately for ladies, the brand is specifically for men. The glasses are quite stylish. They have a metallic frame, made of Al-Mg Alloy metal. The material is strong and light in weight. In addition, the glasses have a good fitting, because of the adjustable temple and nose pad. The arm is also flexible. They have many colors, to offer you your preferred choice. A package includes the glasses, a cleaning cloth, a pouch and a mini four in 1 stainless steel screwdriver. They are not designed for women. Ladies shop for another brand. Costa Del Mar-Fantail are made in the USA. They are designed with anglers in mind. 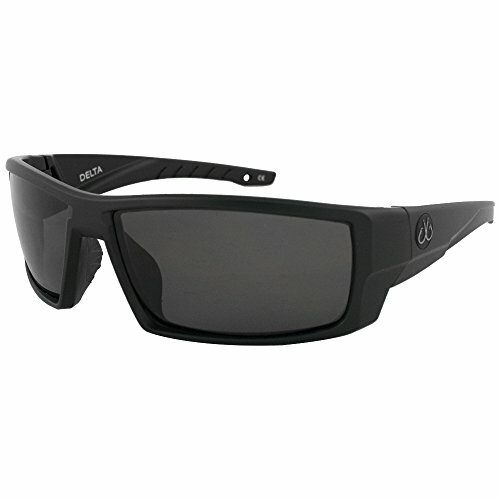 They are therefore good performing sport fishing glasses that are 100% polarized. The glasses are manufactured with high technology to provide clarity. The lens are made from Polycarbonate material. The lens block 99% of glare, to reduce the chances of straining your eyes or getting a headache. In addition, the lenses are scratchproof, thinner and lighter than average sunglasses. They are also easy to maintain because they repel water, dust and oil. A specially made frame that is a bit smaller than Blackfin frames, the other brand made by the same company. The frame is made with a nylon co-molding, for comfort and durability. The glasses are durable with their scratch-proof features. Their main issue may just their cost, good enough they come with a limited lifetime warranty. Costa Del-Mar polarized glasses are top-notch glasses that will cost you quite some money. Fortunately, they have many durable features in addition to coming with a limited lifetime warranty. The frame and lens are plastic. The frame is very comfortable and easy to spot even for a whole day. The glasses provide full protection from all the harmful rays of the sun. The lens have a high polarization. Using the glasses will enhance your visibility while reducing headaches and eye strains. In addition, the glasses are designed to be thinner and lightweight than the average glasses for your comfort. The frames are made from co-molded nylon to give them weather-resistant features. The glasses are also prescription ready. The glasses are scratchproof and come in various colors to choose from. The glasses will require you to dig deep into your pocket because they are not cheap. Filthy Anglers-Delta are quality, affordable, polycarbonate polarized glasses. 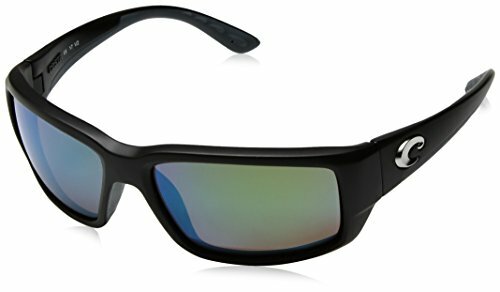 If you are looking for affordable sunglasses for fishing, you may want to look at these. They are cheap and are under 100. The lens polarized and are 100% UV protection lens. The lenses are made from polycarbonate which doesn’t shatter easily like glass. In addition, the lenses are made Hydrophobic features. The coating makes them smudge-free and scratch-resistant. Therefore the lens repels oil, water and sweat and are therefore quite easy to maintain. The frame is designed to be comfortable. It is lightweight and designed to stay secure on your face without falling off, with a TR90 Grilamid technology. The glasses are quite affordable, although some brands are much cheaper than these. A package includes the sunglasses and a case, a microfiber cleaning cloth and an attachable strap. Oakley-Fives Squared are highly sophisticated men’s glasses with a unique rectangular shape design. The glasses can be used for various outdoor activities including water sports, fishing and other activities. The lens are polarized iridium lenses made with a plastic material, with an iridium polarized coat. The frames are also plastic. They are made with nylon and co-molded with O-Matter. The glasses have a good fitting and are quite light, thanks to the O matter frame. In addition, they provide the best clarity in water providing you with a clear view. The lens have a 100% protection from UVA, UVB and UVC harmful rays. You can fish with the glasses with full sun and have a clear vision. Unfortunately, they are top-dollar glasses, yet they don’t come as a kit with basic things like a case. Not for ladies, they are designed for men. 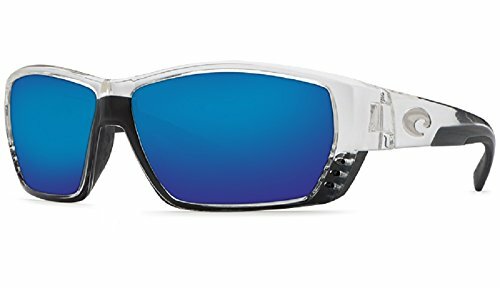 StrikeKing Polarized sunglasses are best budget glasses that still deliver the elements needed in a good pair of polarized glasses. The lenses are made with superior technology to combine beauty with performance and protection. The glasses offer 100% UVA and UVB protection. In addition, the lens have eleven layers of polarization to prevent glare while enhancing your vision of your outside activities especially when fishing. They are treated with Bi-Gradient. The lens are also designed with many colors yet not compromising on visibility quality. The lens are made with an anti-reflective coating and are hydrophobic. The lens, therefore, repel oil, dust, water and are smudge-free. This makes maintaining them easy, and you don’t have to keep wiping them while in use. Costa Del Mar-Trevally are hand built sunglasses that are heavy duty, top dollar glasses that come with a lifetime backing. They can be used for doing many outdoor activities even though they are a perfect pair for fishing. The frame is a TR-90 nylon and heavy duty. They have a 100% UV protection and superior polarization. They come with a patented technology of blocking yellow and blue light to give you superior performance during fishing. Your color vision will be enhanced and overall clarity. In addition, the glasses have rubber nose pads for your comfort. The manufacturer gives you a choice of between glasses or plastic glasses. The plastic lens’ version are impact and scratch resistant, while the glass lenses have more clarity and are scratch resistant. So, what set or combination of factors make a pair of sunglasses truly unique? Well, from our analysis, we’d like to zero-in on the following as the key pointers. Do you want glass or polycarbonate lenses? Basically, polycarbonate lenses are cheaper and protective although they also tend to scratch easily. At the same time you have to appreciate that poly lenses have the highest impact protection than glass-made ones. On the other hand, if you want something that’s designed to last long, we’d certainly encourage you to go for a glass pair. Most people confuse the lens color with the mirror coating which appears on the front. In reality, though, the color of the lens is what you look through when actually wearing the glasses. If you’re a shallow water angler, we’d recommend dark amber lenses for sunny days. Yellow lenses (amber) would be awesome for cloudy days. 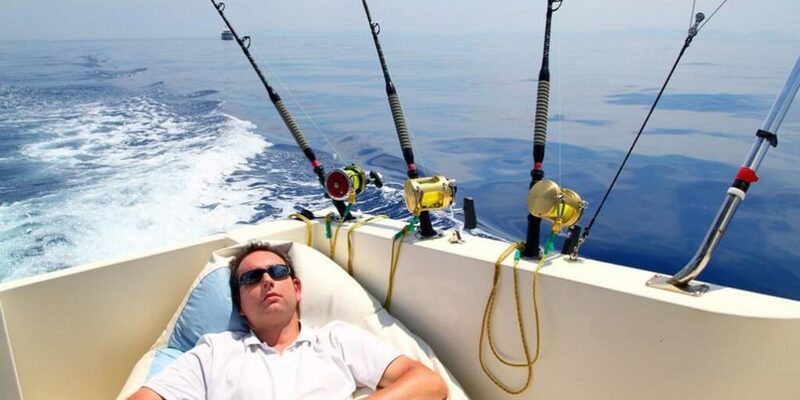 Looking for the best offshore fishing glasses? We’d vouch for gray lenses. So, generally, if you can afford to get a set of different lens colors, you’d be at a great advantage. It’s important to always keep in mind the fact that most of your sunglasses’ weight is normally carried in the frames. Given that fishing sunglasses are meant to be worn for long hours, it’s recommended to find a frame that’s light in weight (but still durable). That said, there’s no one-size-fits-all frame. That’s because different people have different face shapes. Nonetheless, there are a few nuggets of wisdom that you can always use, here. The first one if that the kind of frame you settle for should be capable of covering your eyes as much as possible. Ideally, there should be no space in the periphery to prevent the glare from entering. Most importantly, you’ll need a pair that’s capable of staying in place even with some movement. That’s why you specifically need to find angling sunglasses with arms that wrap around your head. It’s possible to find some extra features that effectively make your sunglasses stand out. One such feature is the presence of the hydrophobic coating. This special coating is applied to the lenses and is meant to allow water droplets to slide off the lenses. Then there are also special coatings that are meant to prevent the interior of the glasses from fogging. Such features would prove quite useful in regions that tend to be humid. All the companies featured on this list are great. Indeed, companies like Ocean Waves, Smith Optics, Oakley, Sun Cloud, TOREGE and Cost Del-Mar are some of the leading brands in this game. Even though all the sunglasses reviewed above are superior in one way or another, no two of them are made equally. However, the Oakley-FuelCell OO9096 Sunglasses stood out for us all thanks to its incredible design. Its enhanced UV blocking design and a comfortable frame make it an ideal choice for all-day wear. 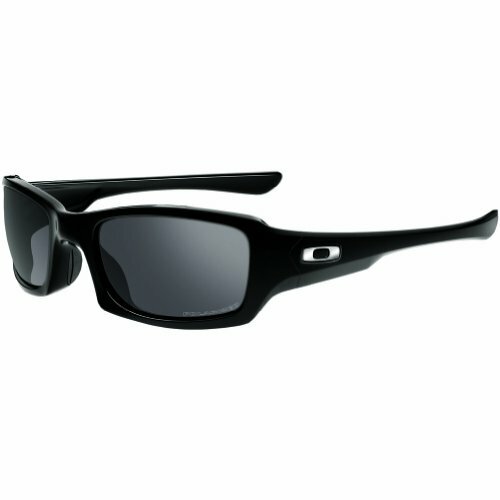 Besides that, the Oakley-FuelCell OO9096 Sunglasses is designed to repel oil, water, and dust. That means, it’s also pretty easy to care for. The first runners-up position, in our opinion, belongs to the FlyingFisherman-Maverick 7812BS Polarized Sunglasses. These are also generally well-made although we feel that they offer a lower value for money compared to the Oakley-FuelCell. 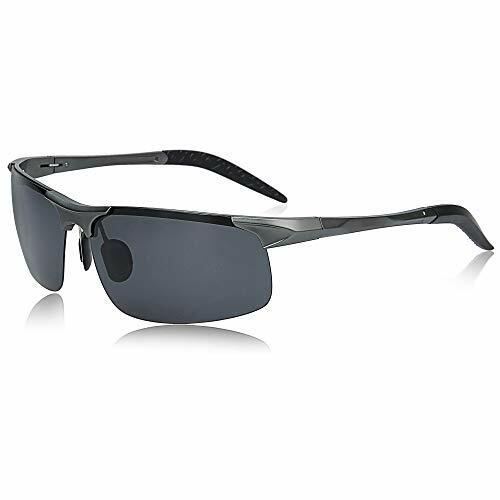 The second runners-up position would then go to the Costa Del Mar-Fantail Sunglasses TF11OBMP which has got some well-made lenses and frames. In fact, it’s only major undoing is that it’s quite expensive – therefore, representing a lower value per dollar. Faced with the glaring UV rays from the sun, the last thing you want to worry about is the safety of your eyes. Choose to compromise on this and you might end up dealing a long list of issues which may vary from a sunburned cornea to severe headaches. So, go ahead – look for something that blocks at least 90 percent of the ultraviolet light. And while at it, keep in mind that not all great fishing glasses are labelled as such. Some are just ordinary glasses that are designed to do extraordinary things.